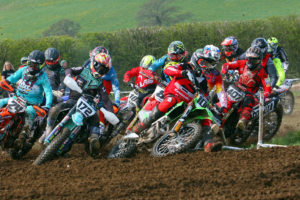 Mortons Media can now confirm that tickets for the new and improved Dirt Bike Show are on sale! For 2019, adults can buy tickets in advance for only £8 – and weekend camping is only £20! The new dates of the show, September 28-29, coincide with the Motocross of Nations at Assen but visitors won’t miss a moment – organiser Mortons Media Group Ltd will cater for race fans at the show with a live stream throughout the weekend.